Members can now download current E-Journal issues through our online store at no cost. Nonmembers can download issues at the cost of $15/issue. NEHA offers different membership categories that give every professional affordable options to belong and an opportunity to grow. 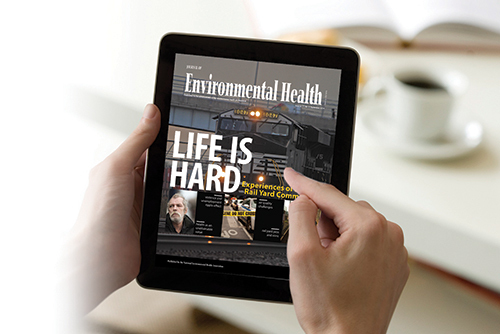 You can select how you want to receive the Journal of Environmental Health—E-Journal or both the E-Journal and hard copy. You can also choose between one, two, and three-year membership options and receive disounts based on your commitment. Note: The E-Journal is delivered via e-mail. Please make sure we have your correct e-mail address so that we can deliver the E-Journal to you.